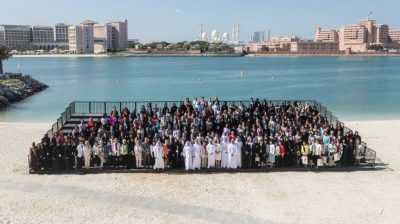 ‘Powering Generations’ was the theme of the 2016 WiN Global Annual Conference, hosted for the first time in the Middle East in Abu Dhabi on 20-23 November 2016. Delegates were challenged by plenary themes such as ‘do you have to be from a ‘STEM’ background to become successful in the nuclear industry?’ in the home of one of the world’s newest nuclear programs. 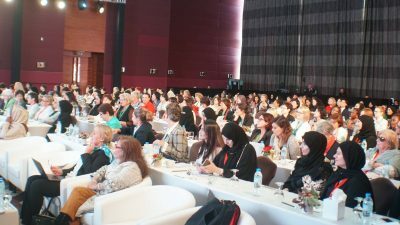 56 countries were represented by 700 delegates – a change for many who were used to being the only woman in the room! However, they were reminded that putting one woman in a control room may not work to change culture. Men seem to be delighted when they have a woman working with them, but one woman among several men may not change culture and help increase diversity and teamwork – multiple women are often needed. As part of the technical program delegates had the opportunity to visit the Barakah Nuclear Power Plant. 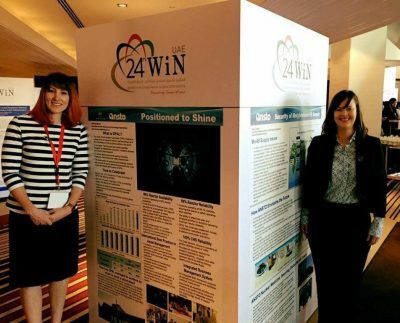 ANSTO’s Rebecca Moore and Kylie Olufson presented posters to the conference attendees.